Hi and welcome to the Coaching & Development page which has two objectives? 1/ For those that are interested in curling and want to “TRY CURLING” to come along and do just that. 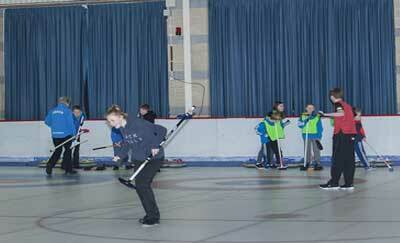 2/ To encourage active curlers or those who have curled previously to assist in Developing the sport. for thee benefit of all. They are training, education, advancement, promotion, expansion and enhancement but not necessarily in that order. Group 2/ Those who are still curling and those who have had to give up playing for some physical or other personal reason. A comprehensive (and lighthearted) guide to the sport of Curling. How it’s played, scored, won, and why curlers yell so much!